how wood pellets are made, wood bricks are manufactured by densely compacting bark-free wood fibers into a uniform shape. 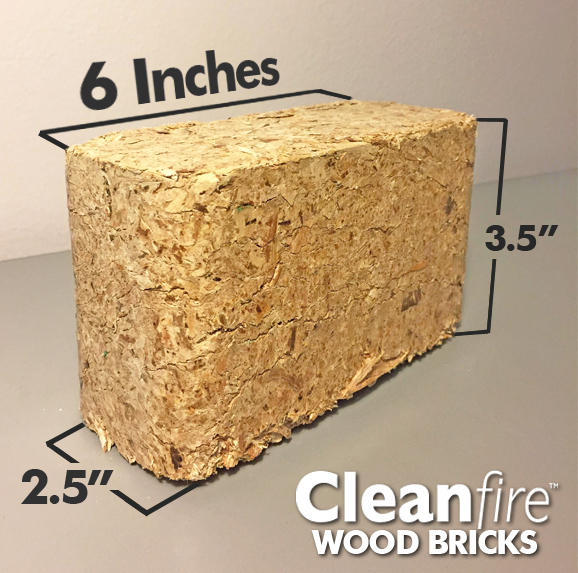 But first, the wood fiber is kiln-dried to hold less than 10% moisture. Because of this extremely low moisture rate and absence of bark and insects, the buildup of creosote is significantly lower than standard wood burning. Wood bricks are most commonly packaged in bundles of 15-20 bricks. Bundles are sold individually and also in bulk, stacked neatly on on a shrink-wrapped wood pallet. According to the National Fire Protection Association (NFPA), unattended cooking is the leading cause of kitchen fires, and holidays are the most common days for them. Thanksgiving, Christmas Day and Christmas Eve are the top three days of the year for kitchen fires – which isn’t exactly surprising. It’s the time of year for baking, roasting, cooking and entertaining guests. 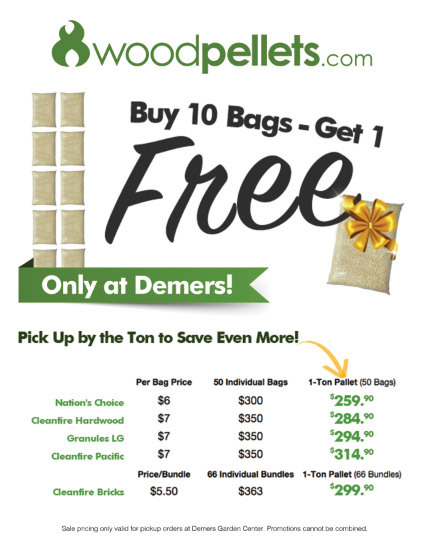 Have you seen any of our posts about how to reuse wood pallets and empty wood pellet bags? Or have you checked out our DIY Pinterest board? Cleanfire Pacific bags in the background of her picture!) 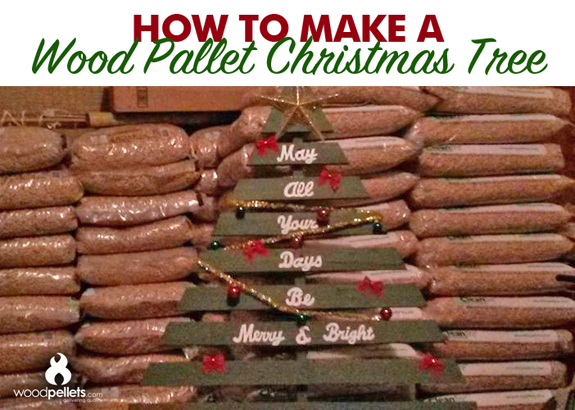 and she created an incredible Wood Pallet Christmas Tree decor project. She was kind enough to share her how-to with us, so we could share it with you! 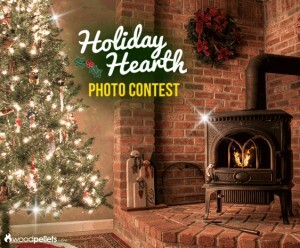 How do you decorate around your pellet stove, wood stove and/or fireplace for the holidays? Now is your time to show us! Simply take a picture of your festive hearth area, and we will pick our favorite on December 22nd. The winner will receive a $50 Darden Restaurants gift card, redeemable at any Olive Garden®, LongHorn Steakhouse®, Bahama Breeze®, Seasons 52® or any other Darden restaurant! Two runner-ups will each receive a $10 PelletBucks account credit! Please take a look at this guide on holiday decorating hazards. Safety first!